India is modernising. In the transport sector, vehicle and infrastructure standards are beginning to conform to international norms. Buses are an important means of transport in India, and will continue to play an important role to meet the future transport needs of society. 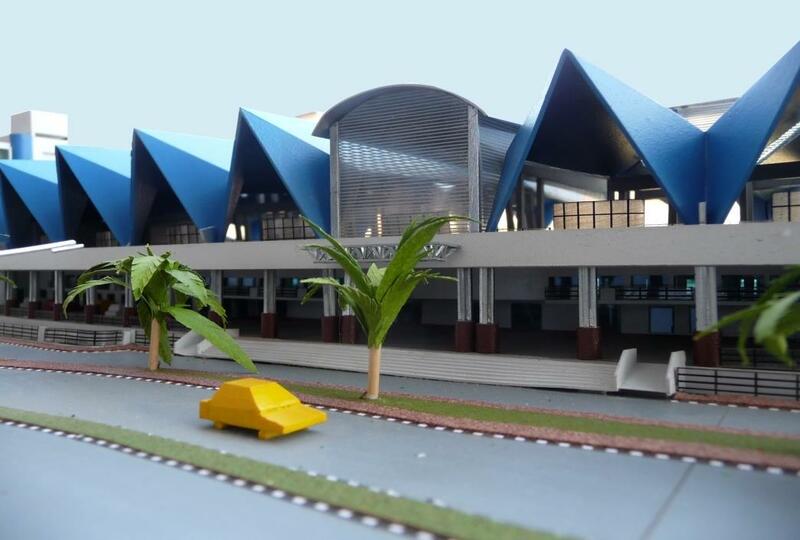 Bus terminal buildings are being modernised in keeping with similar trends which have already transformed new airports, rail stations, and metro stations. This process is changing the mindset of the public who now expect better quality of services and environment. 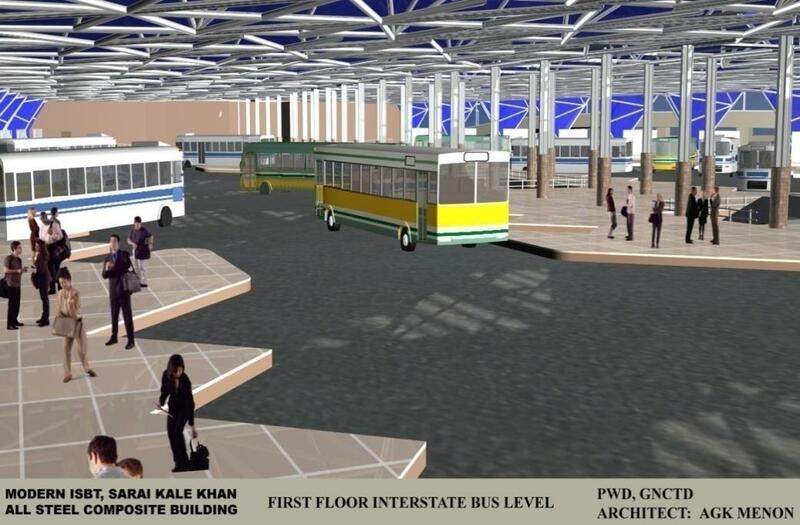 The Modern Interstate Bus Terminal at Sarai Kale Khan (ISBT/SKK) has been designed with this vision. It is planned to meet the future expectations of the travelling public and not follow past practices. The location of the proposed site for the ISBT/SKK is fortuitous because it has the potential to become an important city level modal interchange linking Interstate bus routes with local bus service and the national rail network (including the Metro Ring Rail system). 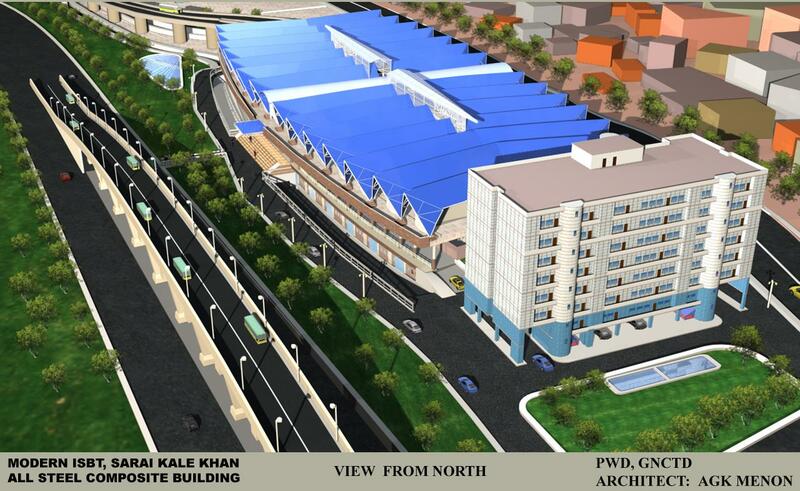 The design of the ISBT/SKK therefore fully exploits this potential and is conceived to function as an efficient and convenient transport hub in the city’s transport network. 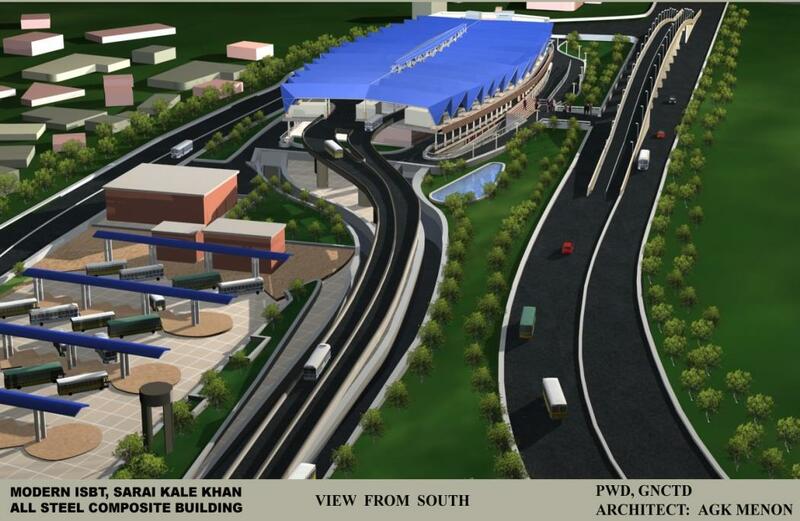 The ISBT/SKK will also be an important gateway of Delhi. It will be adjacent to the Commonwealth Games Village. These ‘gates’ are important markers in public memory. 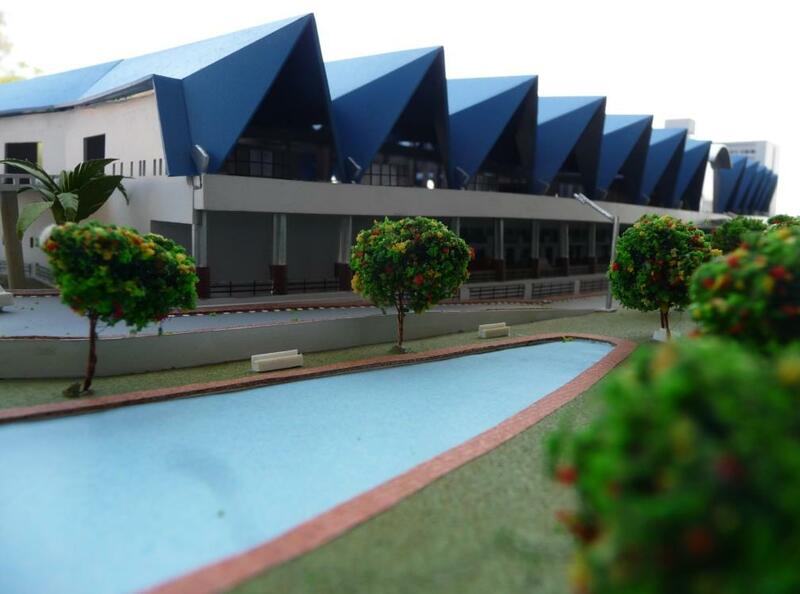 The national capital of India is fast becoming a modern, global city, and as one of the important gateways to the city, the architectural image of the ISBT/SKK consciously seeks to express this spirit through innovative spatial planning and an avant grade construction technology to create an architectural identity appropriate to the stature of the city. The site as it exists now is about 24 acres. It is bifurcated into two plots, due to encroachments, one approximately 10 acres and the other 14 acres. A strip along the southern and western boundaries of the site have been handed over to DDA for constructing a 24 m wide road. 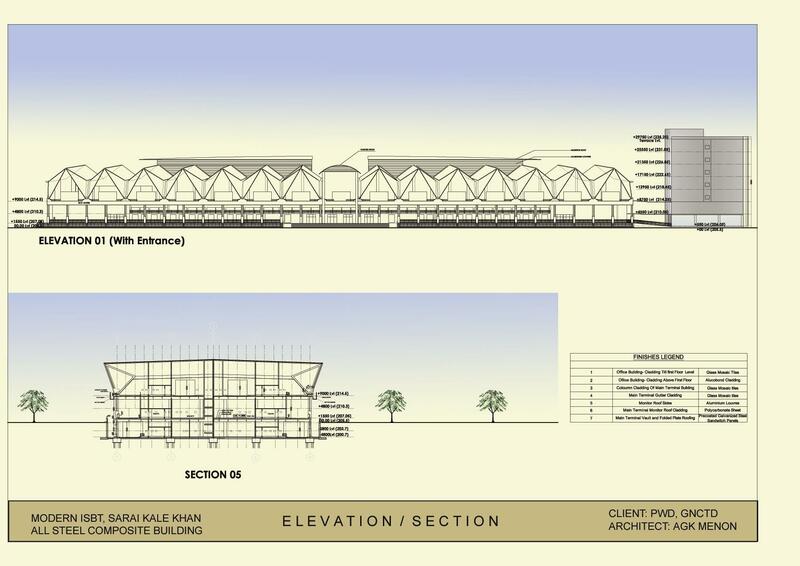 Thus the balance area available for constructing the ISBT/SKK is as follows. 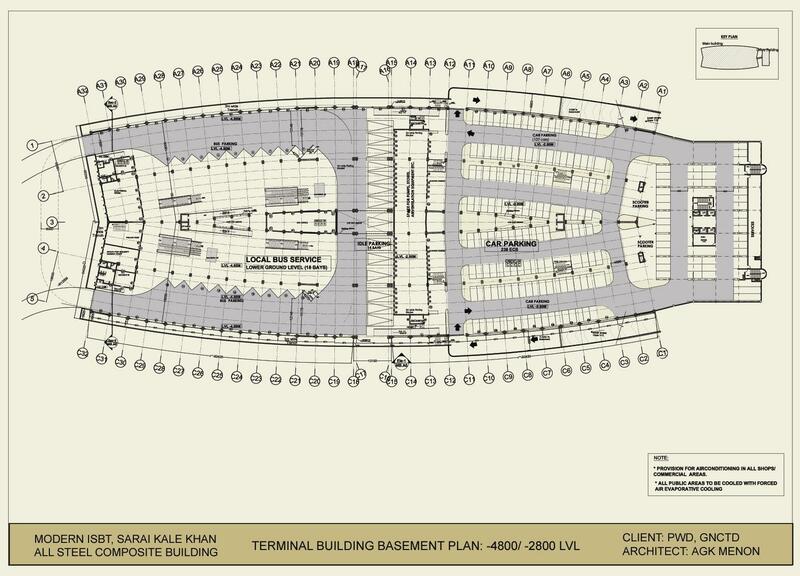 • An existing ISBT/SKK is operating on the northern part of the site. 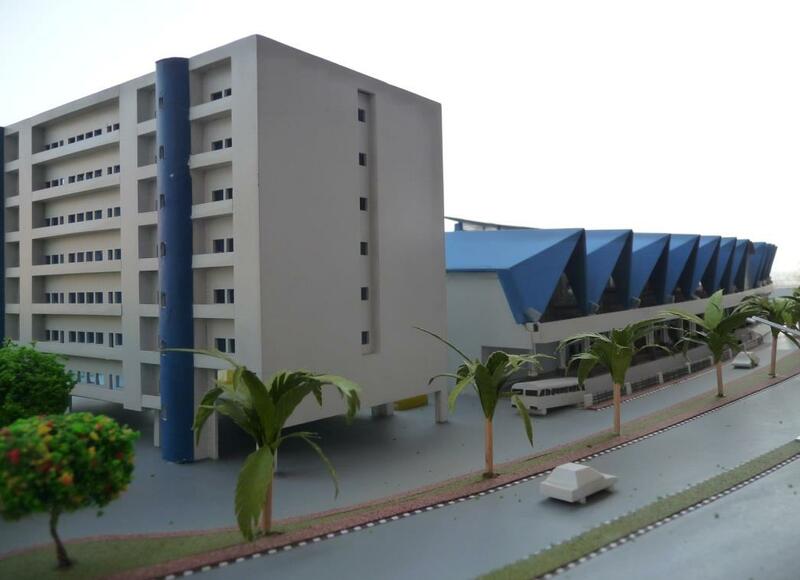 It is being relocated to the southern part of the site where a Temporary ISBT/ SKK will operate during the period of construction of the New Terminal Building. This area will be used as Idle Parking Area in future. 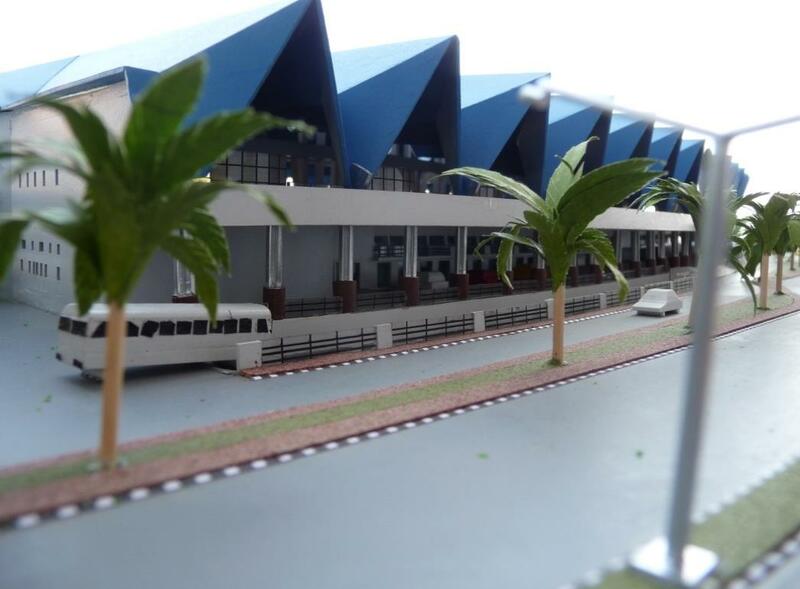 The New Terminal Building has been designed to handle 1000 Interstate bus trips and 500 local bus trips. 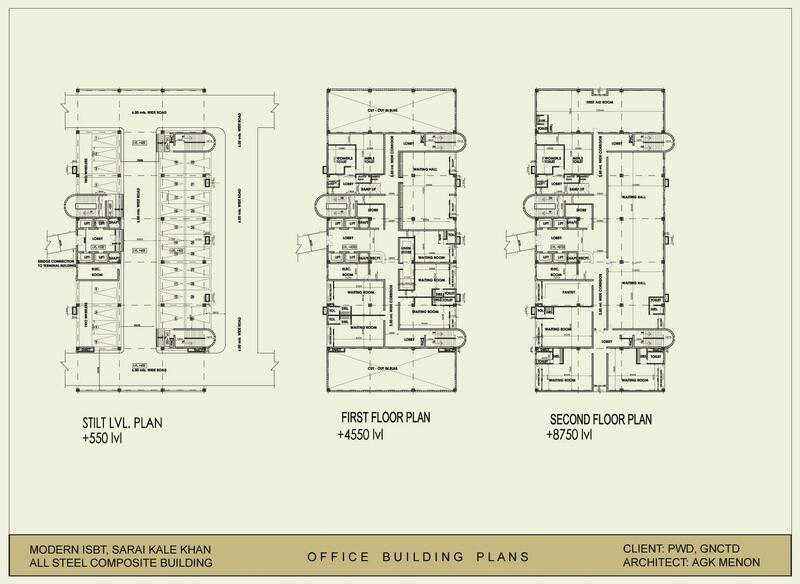 In view of the heavy density of traffic and the limited site, the design segregates the interstate buses, local buses and the passenger movement by accommodating them in three different levels. All buses enter and exit from the southern part of the site while the passenger movement will access the building from the north. Within the building passengers will either go one level up to the interstate bus level or one level down to the local bus level. Escalators and lifts have been provided for barrier free handicap access. 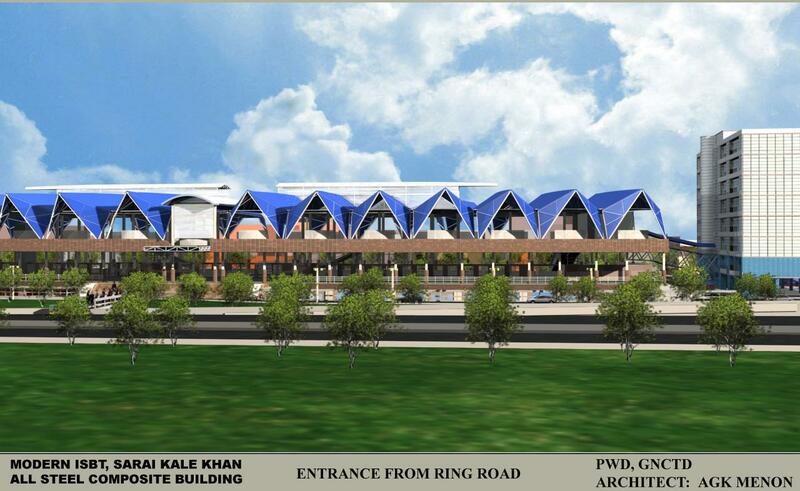 The concept also envisages an elevated pedestrian walkway connecting the ISBT/SKK to Nizamuddin Railway Station. 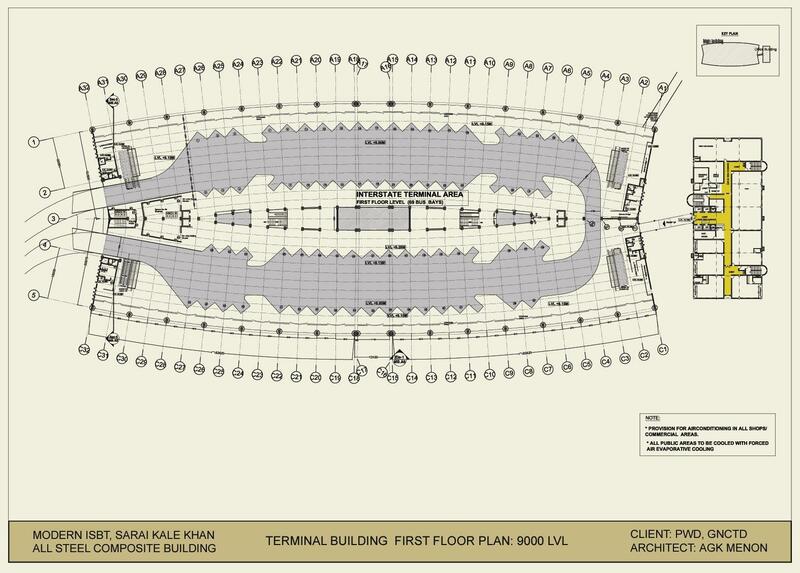 Forced air ventilation will be provided for pollution free environment within the Terminal Building. State- of-the-art IT systems are envisaged to facilitate the management of bus services and dissemination of information of bus schedules to the publics. 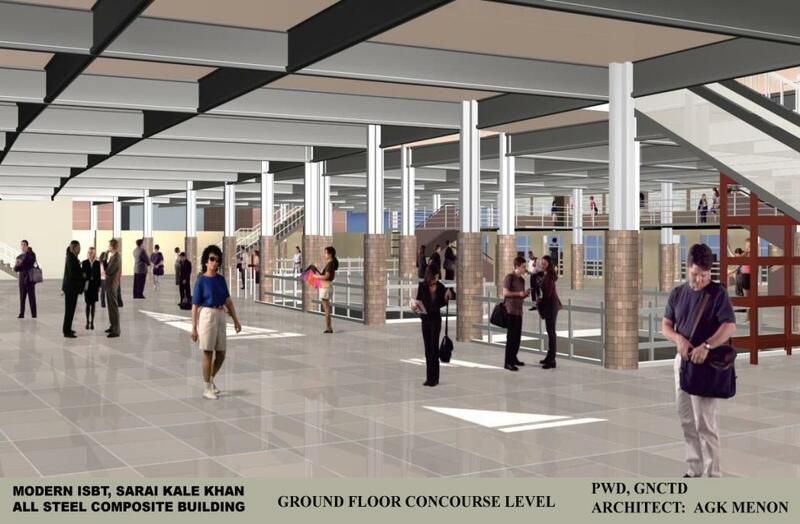 ii.Upper class air-conditioned waiting lounge and business centreiii.Railway ticketing hall with future provision for pedestrian link to Nizamuddin Railway Station.iv. Retiring rooms for passengers. 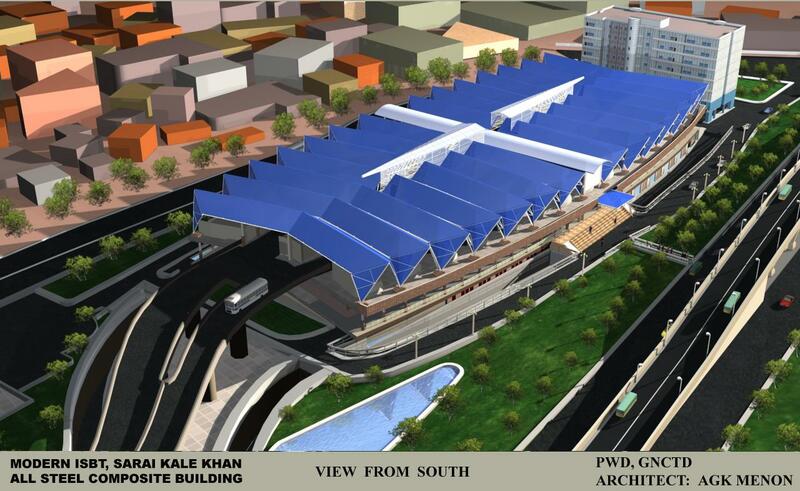 The significant visual element of ISBT/SKK will be the long-span folded plate steel roof. This will be insulated using sandwich roof panels for minimising heat gain from roof. 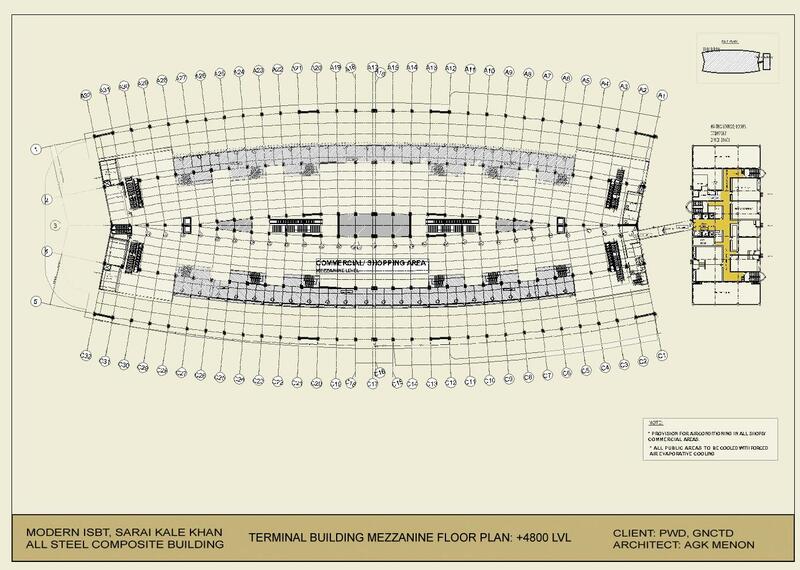 The entire building will be in steel-composite construction-the largest of its kind in India, and the first in Delhi. Water harvesting and recycling of waste water will follow government directives. 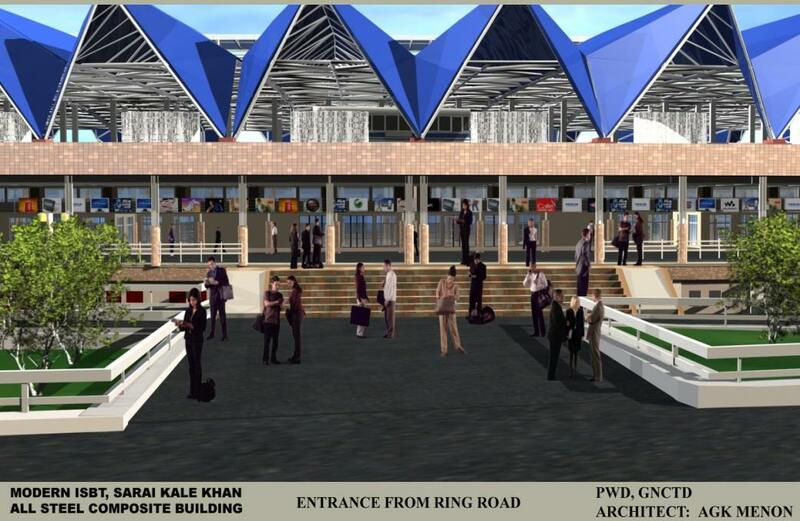 The building will be a modern symbol of a Gateway to the International City of Delhi. Eliminate uncertainty of scheduling by the use of Global Positioning System (GPS) Technology. Use information dissemination systems to provide up-to-the-minute status of bus arrivals and departures. Use computerized ticketing system to eliminate the service of touts. Employ advances in construction technology to provide column-free spaces for better bus movement and public concourses. Provide ventilation and cooling systems developed for industrial processes to improve the environmental conditions within the terminal building. Undertake water recycling systems to minimize dependence on city water supply and drainage system. 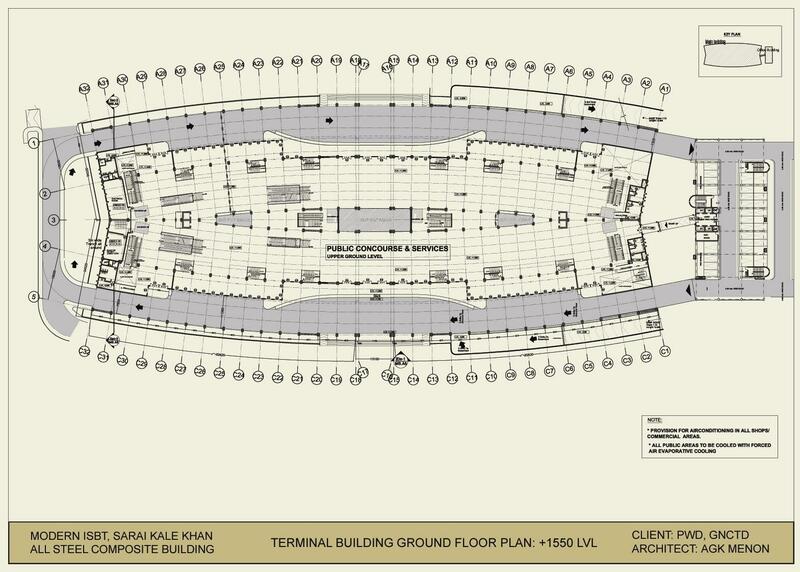 Use technology as an aesthetic expression for the architecture of the terminal building. Reduce the demand for space by more efficient time management of bus arrivals and departures. Use fiscal tools to enforce terminal use discipline. Use traffic management design to segregate traffic and ensure no movement conflict. Long span structures, and structures which accommodate buses at multiple levels open up new functional possibilities and can improve the working of bus terminals. 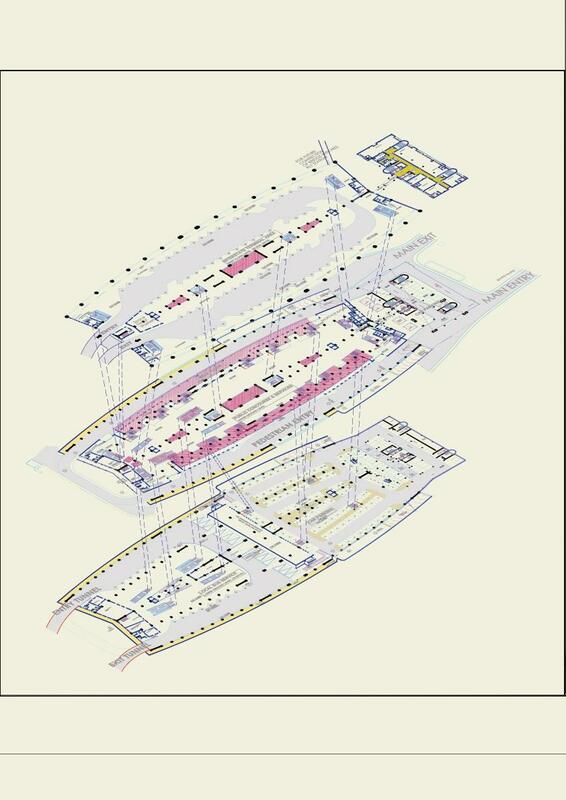 Most bus terminal buildings rely on conservative structural systems to cover space. But airport designs have shown that collaborative efforts between structural engineers and architects from the concept stage itself can result in innovative results. 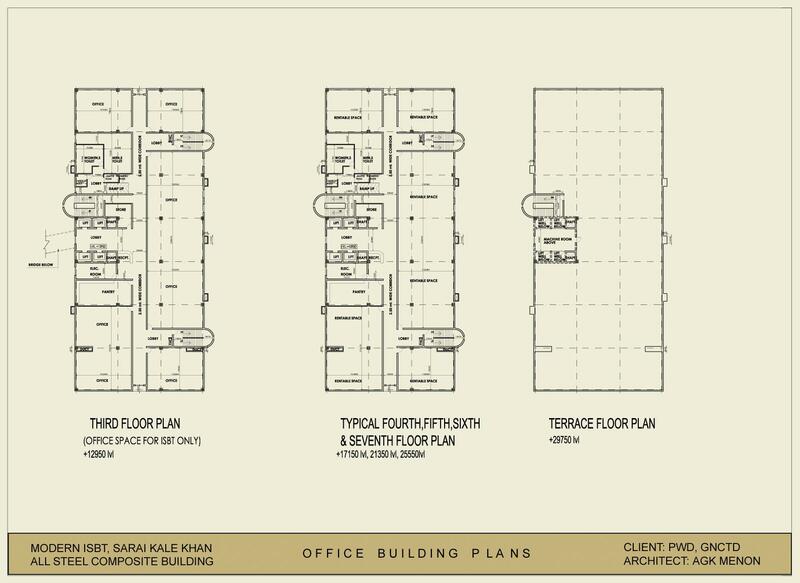 In this manner the structural system can become an important determinant of the form of the building.